On Tuesday, March 10, 2015 at approximately 10:30 A.M. James Leon Clay, age 67 of Georgetown, Delaware was taken into custody by officials with the Georgetown, Delaware Police Department on a Warrant from the Jackson County Circuit Court for Kidnaping and Murder in the First Degree. The arrest was the resulted of an investigation of a 1967 cold case, which involved the discovery of human remains in rural Jackson County on August 27, 1967 that were identified as Mr. James Ricks, age 27 of North Little Rock. The investigation, which began on January 8, 2015 by Sheriff David Lucas when he received information from Special Agent Bradley Harvey of the FBI, Little Rock Field Office. Special Agent Harvey told Sheriff Lucas that he had possible information in reference to the discovery of human remains in Jackson County on August 27, 1967. Based on the investigation, the case was presented to Third Judicial District Prosecuting Attorney, Mr. Henry Boyce, and an Affidavit of Probable cause for arrest was signed by the Jackson County Circuit Judge, Harold S. Erwin. 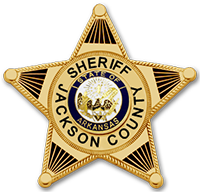 Sheriff Lucas stated; “I am very pleased with the results of this investigation, which was a collaborative effort between the Jackson County Sheriff’s Office, the Federal Bureau of Investigations Little Rock, Ar. and Baltimore, Maryland Field Offices, the Georgetown, Delaware Police Department and the Third Judicial District Prosecuting Attorney’s Office. It has allowed us to give the family of Mr. Ricks some closure after 47 years.